for $229,696. The lot size is 0.73 Acre(s). 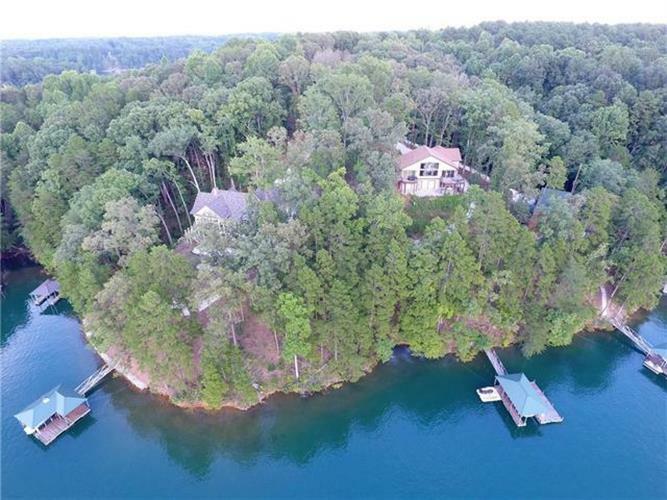 Lake Keowee Waterfront Lot 59 in Peninsula Pointe South Subdivision: Beautiful point lot with big water lake views. Lot 59 offers the perfect building site for your dream home in this Lake Keowee subdivision. This waterfront lot is .73 ac and has 183.6' of gorgeous shoreline with a gentle slope to the water's edge. The boat/trailer storage is already in place with remaining amenities plans in place. This upscale subdivision is a short drive to shopping, hospitals, and restaurants. Lake Keowee is nestled in the foothills of the Blue Ridge Mountains and primarily located in Oconee County, SC with parts of the lake that extend into Pickens County as well. This vacation destination hosts public parks, campgrounds, boating, water sports, fishing, swimming and hiking trails. Local airports: Greenville-Spartanburg (GSP), Pickens County Airport and Oconee County Airport. The lake is conveniently located within driving distance to major southeastern cities: Greenville (35 miles), Charlotte (142 miles), and Atlanta (125 miles). The data relating to real estate on this web site comes in part from the Broker Reciprocity Program of The Western Upstate Association of REALTORS (R), Inc. and the Western Upstate Multiple Listing Service, Inc. Detailed information on Real estate listings held by firms other than Weichert Realtors includes the Listing Broker’s Firm Name. This information is deemed reliable, but not guaranteed. Neither, the Western Upstate Association of REALTORS (R), Inc. or Western Upstate Multiple Listing Service of South Carolina, Inc., nor the listing broker, nor their agents or subagents are responsible for the accuracy of the information. The buyer is responsible for verifying all information. This information is provided by the Western Upstate Association of REALTORS(R), Inc. and Western Upstate Multiple Listing Service of South Carolina, Inc. for use by its members and is not intended for the use of any other purpose.